You are at:Home»News»First acts are announced for Warped Tour UK 2015! 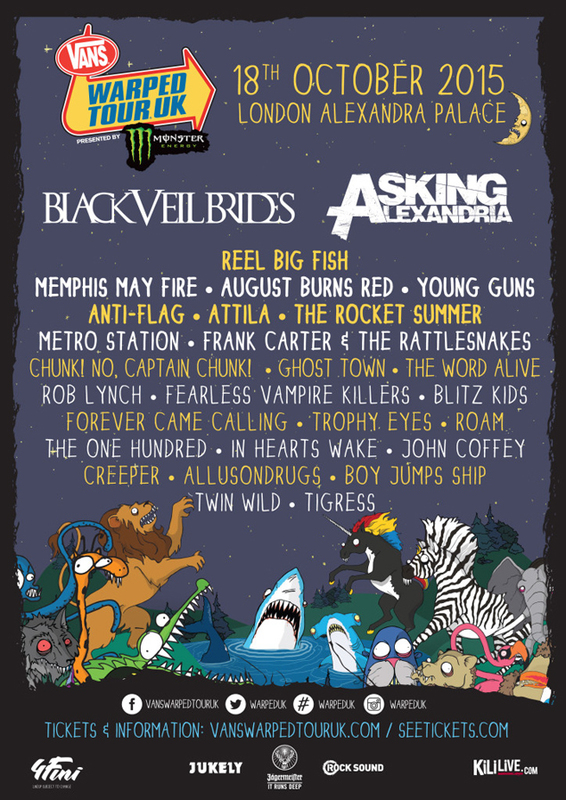 First acts are announced for Warped Tour UK 2015! Black Veil Brides and Asking Alexandria will headline Vans Warped Tour UK’s return to London’s Alexandra Palace on October 18th! All the info you need is at the Vans Warped UK website, and tickets are available riiiiight here. Slam Dunk Festival adds Neck Deep to the line up and more!